We continue with our discussion of #8 of the TOP10 Dumbest Reasons to Date: Just for fun. We’ve already made the obvious admission that there’s nothing wrong with having fun dating. I had a blast dating. But we also established last week that if fun is all you’re looking for, there are other entertainment options that won’t risk a broken heart or loss of innocence. Do you want to spend your life chasing experiences or building relationships? Our society’s love affair with experience is sacrosanct. It wasn’t always that way, but then there weren’t always so many experiences within the grasp of the average joe. When I was a kid you just wanted to see the movie. Now “just a movie” isn’t enough. It has to be the HD, 3-D, BIG-D movie. Even at home, you don’t watch TV anymore. You experience your entertainment on a home entertainment system with a flat screen, Blue-ray and surround sound. So when it comes to your next date, the tension is high. What new and exciting experience can you cook up? Or, if you’re not actually planning the date, how can you enhance the experience by what you wear and how you look? What will wow and impress? What will you be able to tell your friends afterward? Do you feel that pressure in dating? Did you just assume it’s all part of the… ah… the whole experience? I’d like to encourage you to exchange the “experience” filter with which most of us view dating with a “relationship” filter. Instead of worrying about what you’d like to do, consider what you’d like to share. Instead of trying to impress your date, how about trying to get to know them. Probably the most fun date I ever planned (and worked) was when my partner in dating crime, Dave, and I treated our ladies to a surprise moonlit picnic on the 50-yard line of the Baylor stadium. I assure you. That was a great experience. Getting chased out of the stadium was even more memorable. But I never really developed a relationship with the girl for whom I planned that experience. I don’t mean I didn’t develop a romantic relationship. I mean I didn’t develop a relationship with her at all. 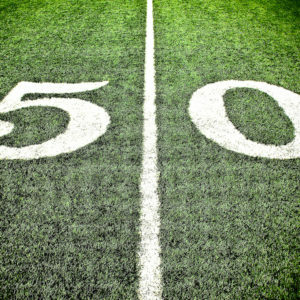 Instead of remembering our conversation, I only remember the 50-yard line. That and leaving the stadium under duress very quickly. Probably all she remembers too. Fortunately, if I see her at a future reunion, I won’t have anything to be ashamed of. I never took advantage of any of the girls I dated, but I also, more or less, just shared experiences with most of them. What a shame. They might have been fun to get to know if I wasn’t so focused on planning and carrying out a fun experience. And maybe one or two of them were even wise enough to figure out, that which I didn’t consciously realize at the time: that “a fun experience” was all they were to me. If you will determine, both inside and outside of dating, to make relationships your focus then you’ll certainly share some fun experiences – amazing experiences. Even better – those experiences will be all the more fun and memorable because of the relationships you’ve sought to build. So have fun experiences as you’re intentionally building relationships. Happy dating.